Do you come down with a case of the flu like clockwork every year as soon as the leaves start to change color, or the snow starts to fall? Do you feel helpless against the flu? If you said yes, and if you feel that avoiding the flu is beyond your ability, then read on. These are surefire ways to greatly reduce your chances of getting the flu this year. Sugar decreases the function of your immune system almost immediately, and as you likely know, a strong immune system is key to fighting off viruses and other illness, including the flu. It is especially imperative to avoid sugar if you feel you are coming down with something but keeping sugar out of your diet for the long haul will do wonders for your health and make your body stronger, which will make it harder for the flu to bother you. Be aware that sugar is present in foods you may not suspect like ketchup and fruit juice. In addition to sugar avoid processed and fried foods. These foods have very little nutritional value and can make your immune system sluggish. Drink a minimum of ½ ounce per pound of body weight a day. Staying well hydrated will help your body eliminate toxins and allow your immune system to work efficiently. Just like it becomes harder for you to get your daily tasks done if you’re tired, if your body is overly fatigued it will be harder for it to fight the flu. Regular rest will keep you strong and ensure that your body has the strength to fight off any potential invaders. Try to get between 7 & 8 hours of sleep a night. If you have a poor night’s sleep, take a power nap mid afternoon if possible. Vitamin A is recommended in areas world-wide where infectious diseases are rampant, as an effective strategy to reduce the incidence and severity of those diseases. Supplementation can be an effective strategy to prevent the flu. Vitamin D interacts with your genes in numerous ways to support optimal health. Get your levels tested and work to maintain levels in the 60-80 ng/ml. Vitamin D has very potent anti-viral actions by activating the immune system to target and destroy viruses. Always take Vitamins A & D with meals, preferably with food that contains some fat. Probiotics are “friendly bacteria that support a strong immune system. Approximately 70% of the body’s immune system reside in the wall of our colon. It is called the Gut Associated Lymphoid Tissue (G.A.L.T.). Friendly bacteria are vital housekeepers and produce numerous benefits and compounds that we require to survive. Prebiotics are non-digestible plant fibers that act like fertilizer by feeding the good “bugs”. We all face some stress every day, but if stress becomes overwhelming then your body will be less able to fight off the flu and other illness. It has been estimated that up to 90 percent of illness and disease is stress-related. Take time out to relax, take on fewer responsibilities and don’t beat yourself up if you can’t get it all done. Meditation and prayer are also great for reducing stress. Have you heard the phrase “let go and let God”? 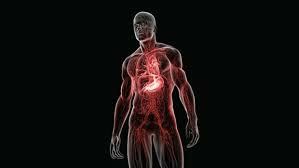 When you exercise you increase your circulation and your blood flow throughout your body. The components of your immune system are also better circulated, which means your immune system has a better chance of finding an illness before it has a chance to spread. In a sense, exercising helps your immune system to be more efficient in weeding out and acting upon viruses and diseases. Wash Your Hands and Don’t touch your nose! Washing your hands will decrease your likelihood of spreading a virus to your nose, mouth or other people. If your immune system is strong, it should be able to fight off the virus if it does enter your body, but washing your hands provides a bit of extra protection. Also, don’t touch your nose with your hands! Take 500 mg 4-6 times a day to protect yourself. Double that dosage if you get sick. 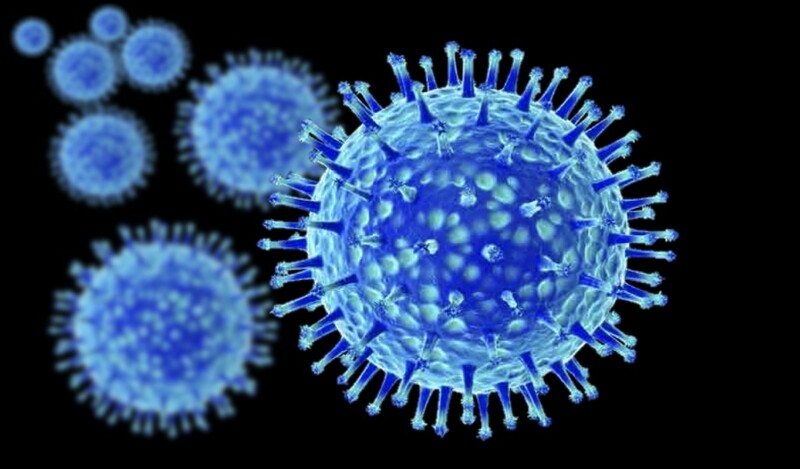 These have been shown to be effective against viral conditions. They can act preventatively as well as in the event of an infection. Make sure to have it on hand so you can increase dosing as soon as symptoms develop. Visit the shop tab on my web site. That will take you to a page discussing nutritional supplements (after the consent prompt). At the bottom of that page you will see a button for Nutridyn, my favorite provider of high-quality nutritional formulas. Scroll down on that page and you will see a category called “Cold & Flu Protection”. Inside, you will see several products that can be used as an effective strategy to reduce your chances of getting sick and help you recover faster if you do. Many experts now see inflammation as arising from an immune system response that’s out of control. When you catch a cold or sprain your ankle, your immune system switches into gear. Infection or injury trigger a chain of events called the inflammatory cascade. The familiar signs of normal inflammation — heat, pain, redness, and swelling — are the first signals that your immune system is being called into action. In a delicate balance of give-and-take, inflammation begins when pro-inflammatory hormones in your body call out for your white blood cells to come and clear out infection and damaged tissue. These agents are matched by equally powerful, closely related anti-inflammatory compounds, which move in once the threat is neutralized to begin the healing process. Acute inflammation that ebbs and flows as needed signifies a well-balanced immune system. But symptoms of inflammation that don’t recede are telling you that the “on” switch to your immune system is stuck. It’s poised on high alert — even when you aren’t in imminent danger. In some cases, what started as a healthy mechanism, like building scar tissue or swelling, just won’t shut off. Are you walking around on simmer? Just yesterday I saw Nancy, a patient who has been with me for years. When she first came to see me, her triglycerides were sky-high (in the 400’s! ), her cholesterol was elevated, and she was overweight, unhappy and stressed. Her face was flushed and chapped, her lips were dry, and she seemed fluttery and agitated. On the surface she looked like a heart disease candidate, but when I probed deeper I saw a woman on fire from the inside out. Currently there is no definitive test for inflammation — the best that conventional medicine can do is measure blood levels of C-reactive protein (a pro-inflammatory marker) and the irritating amino acid called homocysteine. I use the high-sensitivity CRP test now available at most labs. Anything above 1 mg/dL with this test is too high in my book. With the older tests a reading of between 2–5 mg/dL was considered normal. (If you’ve been tested, be sure to ask your doctor for the results). Newer ways to assess risk early on for future inflammatory disease include markers such as the apolipoprotein B to A1 ratio (ApoB/ApoA-1). This and other tests are in experimental use and only available through a few labs. When I first ran Nancy’s tests, I was surprised to see that her CRP levels were normal (this was before the high-sensitivity CRP test was widely available as it is today). This was good news for her heart, since elevated CRP and cholesterol increase your risk of heart disease threefold. But her homocysteine levels were high and all of her other symptoms pointed to inflammation. I prescribed an anti-inflammation diet, essential fatty acids, other anti-inflammatory supplements, and a daily exercise regime (for more information, read our article “Reducing Inflammation – The Natural Approach.”) When Nancy next came in, her triglycerides were down by 200 points, her skin was clear, and her mood was much better. Later tests revealed her cholesterol had gone down, too. Okay, I’m about to put my scientific nerdiness on display. I spend a lot of time on PubMed researching topics to help my patients and I came across this article. I have been saving it for a while to do a post on, because it struck me as profound. It is called The Gap Junction Channel Protein Connexin 43 is Covalently Modified and Regulated by SUMOylation and is from the Journal of Biological Chemistry, May 04, 2012. In reading this article, it made me realize how complex our bodies really are and how little we still know about how everything works. Looking at the body from a microscopic level is almost like watching a science fiction movie. The researchers involved in this article know something about cancer. They are from the Department of Cancer Prevention, Institute for Cancer Research at Oslo Norway University Hospital, the Centre for Cancer Biomedicine, Faculty of Medicine, University of Oslo, and the Department of Molecular and Tumor Pathology, Akita Japan. The importance of this system cannot be overstated. This vital system has fundamental roles in numerous cellular processes, including DNA repair, transcription, cytoplasmic nuclear transport, signal transduction, trafficking of membrane proteins including potassium channels, influencing insulin like growth factor receptors, cell growth, electrical properties of cells and chromosome separation. And, as scientists are constantly finding new associations. Most likely this is just the tip of the proverbial iceberg. 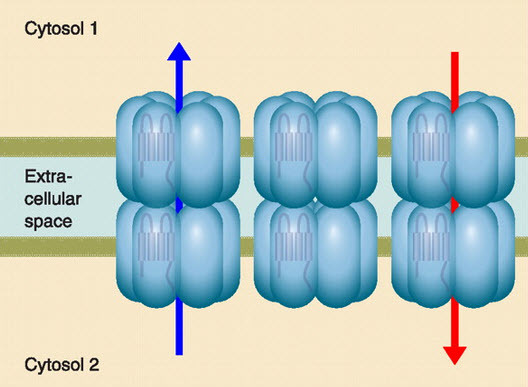 To think that there are these specific proteins (of which they have identified multiple versions with specific functions), that link together and dock to adjacent cells to form channels between them, allowing transport of essential components between the cells is really quite remarkable. And, realizing that there are trillions of cells where this process is constantly going on automatically 24/7, is mind blowing! It is humbling to realize that there is an innate or intelligent life force running all of these vital and complicated processes in our bodies night and day. This is just one example of millions of these types of complex and coordinated activities that our bodies are constantly orchestrating. And without these mysterious and vital activities, we could not exist. Thank God (as Psalm 139 says), we are so fearfully and wonderfully made!